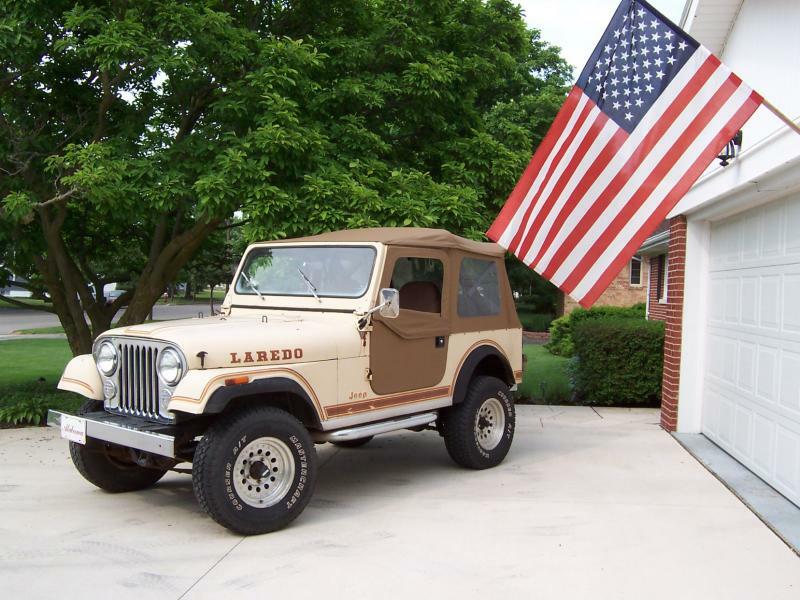 Rudy's Classic Jeeps LLC - 83 Jeep CJ7 Laredo Original Paint and decals! Listed on E-Bay to help promote the site. E-Bay link here and more information below... http://cgi.ebay.com/ebaymotors/Low-Cost-Southern-Jeep-CJ7-LAREDO-Original-Paint-NoRsv-/260814035767?pt=US_Cars_Trucks&hash=item3cb9ba5b37 SOLD! 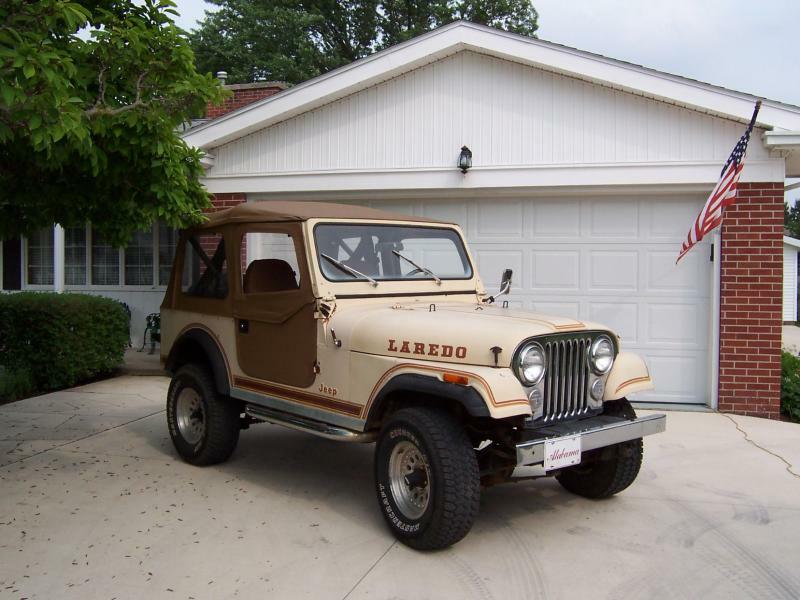 83 Jeep CJ7 Laredo Original Paint and decals! Listed on E-Bay to help promote the site. E-Bay link here and more information below... http://cgi.ebay.com/ebaymotors/Low-Cost-Southern-Jeep-CJ7-LAREDO-Original-Paint-NoRsv-/260814035767?pt=US_Cars_Trucks&hash=item3cb9ba5b37 SOLD! 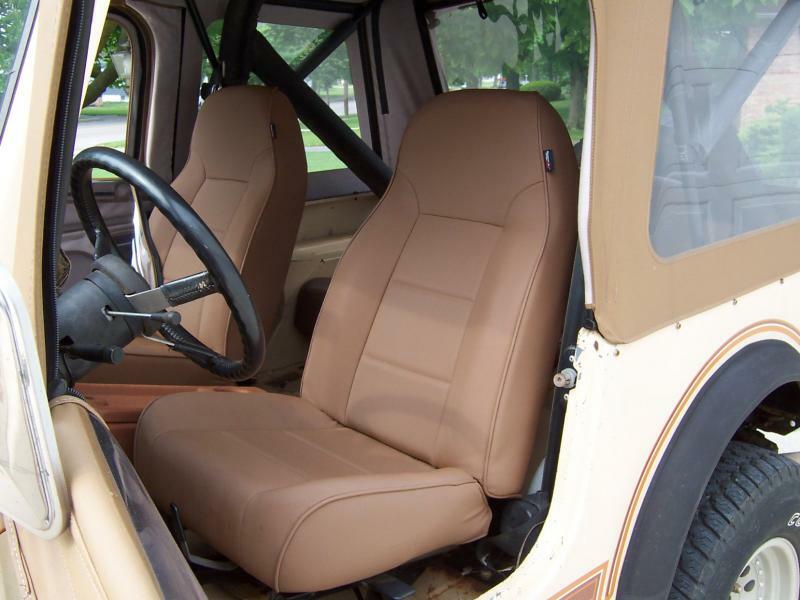 This is a Southern 83 Jeep CJ7 Laredo in desert tan paint with a 6 cylinder and a 4 speed. Brand new Bestop Soft top and 2 piece doors and all 3 new seats. It has NO bubbling rust on the sides and it has NOT been repainted. It has nothing to hide and the frame is still original factory black. 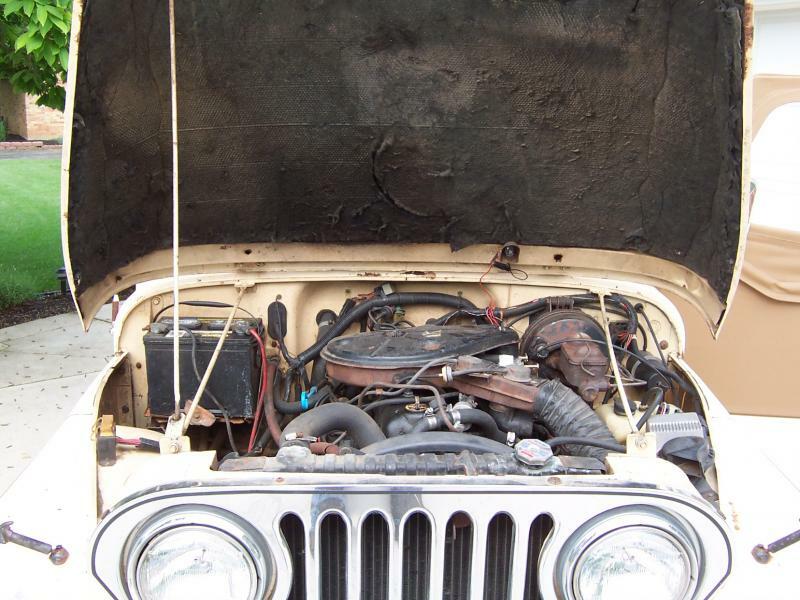 This Jeep is worth restoring as you drive it and you will have something when you are done. The first thing you see when you look at a Jeep should be the sides under the Jeep stamp and the driver's floor. They will almost always show signs of body filler, bubbling rust or patches by shadetree body shops. This Jeep has none of that! A lot of money has been invested to upgrade the gears for better driveability as many of these Jeeps were sold with dog-like 2.72 gears or 3.31 @ best. This one has 3.73 gears front and rear and an Eaton sold TrueTrac Posi unit up front! This gear and posi upgrade would easily cost $2000 to have done and makes the Jeep WAY more useable at highway speeds or in town. Everyone always wants to buy one of my Jeeps before I take it to the next level. Here it is. It is a driver now but will need paint to be restored there is surface rust around hinges but NO ROT on the tub or fenders. I personally would Rhino line the original floors that have no rot, holes or patching after I took pictures of them to show how solid and original they are. The frame is still original black. This is a superior foundation to any Midwestern or Northeastern CJ. It is even cleaner than 95% of the Southern Jeeps. New exhaust. Has tach, clock, tilt column, new carb, rear towing hitch and original grill and chrome bumpers. Nice tires and wheels. It has a new fuel tank and sender installed as well.